Sideways rain, wind, and a little chill didn't stop us! The seven hour flight from Seattle was easy. Kids were happy with their individual screens and free kid meals. 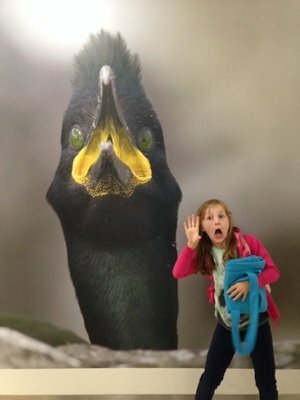 The adults managed with snacks. 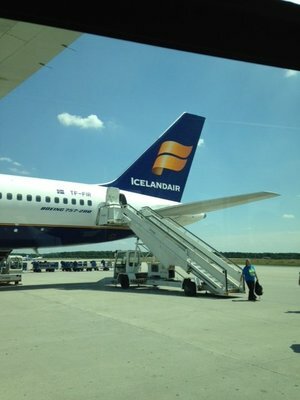 Icelandair is cheap because it's no frills. No one slept on the flight (Well, DH always manages a nap. Lucky guy.) so I knew jet lag would be interesting. Upon landing, I was first struck by the smell of sulfer in the air. Iceland is known for its geothermal power beneath the surface. 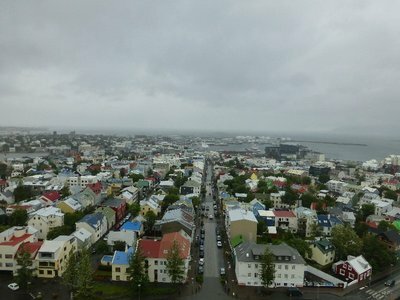 We took the flybus into Reykjavik - about 45 minutes. 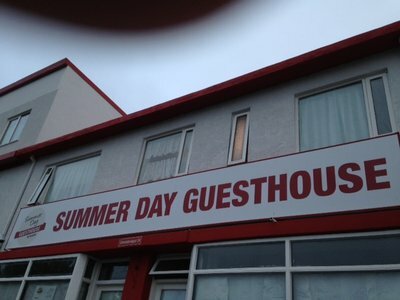 We were dropped off at our small guesthouse - Summerday. The room was not supposed to be ready until 2pm and we were there around 9am with very tired kids. The guesthouse earned HUGE points when they checked us in upon arrival. We all promptly crashed and napped just a bit. DD#1 and I wandered to a nearby store to find breakfast. Prices are steep in Iceland but much better at a grocery store. 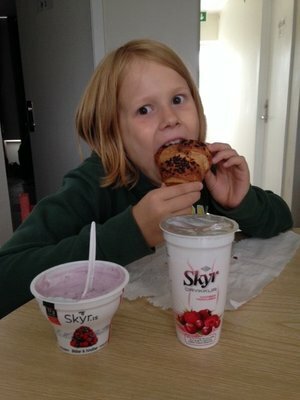 We found pastries and the famous skyr yogurty specialty that comes in liquid and more spoonable forms. Pretty good. The guesthouse earned even more points when they offered to drive us to a local thermal pool - Laugardalslaug. This was the best way to beat jet lag. The pool was fantastic! There were 3 different waterslides, several hot-pots ranging in temperature. 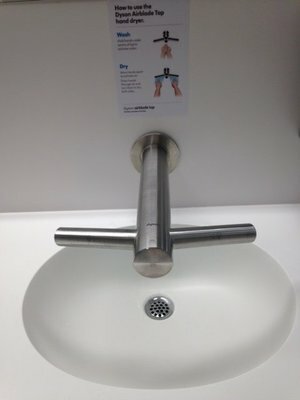 One was empty because it was so hot. DH managed in that one for a bit. The kids particularly loved the ropes course over the water. Entrance to the pool was reasonable - I think around $13 for the family. We opted for this experience over the expensive Blue Lagoon. 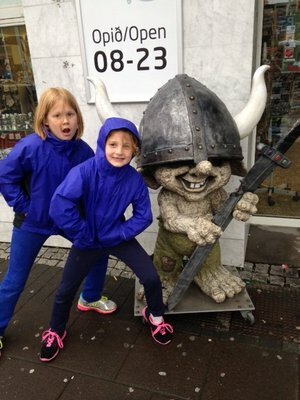 The kids loved it and I know that will be their fond memory of Iceland. They did not allow pictures in the pool so I'm including one I found online. We ate Icelandic hot dogs for an after pool snack just outside the pool. Word is that they eat a lot of hot dogs around here! We hopped on a city bus back to the guesthouse to change. Did I mention how terrible the weather was the entire time? It rained, and rained, and rained some more. We were very cold in the brisk wind despite wearing rain coats and a few layers underneath. 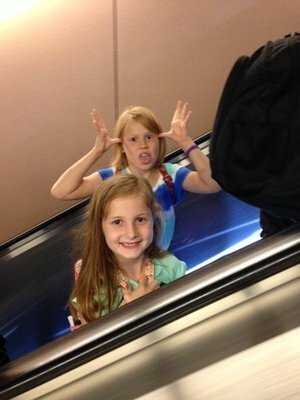 We quickly regrouped after swimming and took a bus to the downtown area. 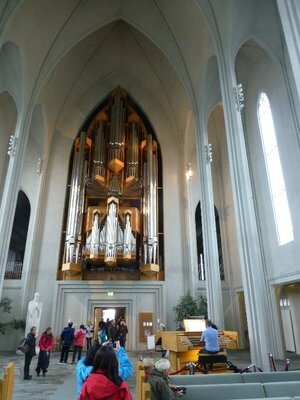 We were lucky to catch a great organist practicing in the famous Hallgrimskirkja church. The kids were quite content watching him play for a while. We took the elevator to the viewing platform at the top of the church tower. Very windy up there! 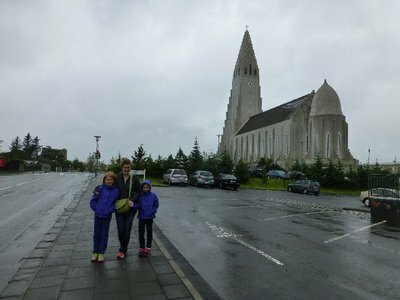 We wandered around some of the more touristy parts of Reykjavik. 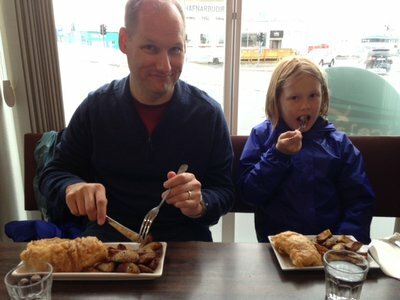 After popping in a few shops, we ate dinner at Icelandic Fish & Chips. 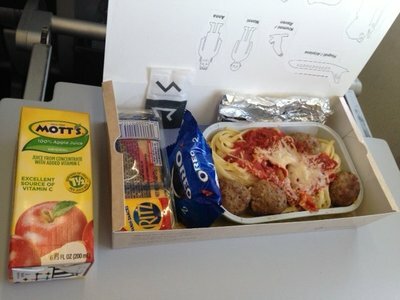 Not a cheap meal but tasty and filling. 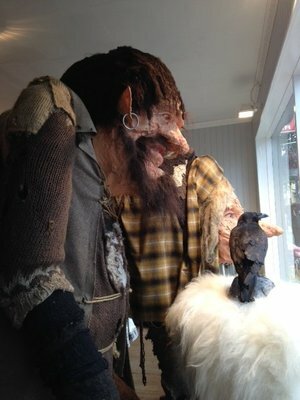 We enjoyed hearing Icelandic being spoken. 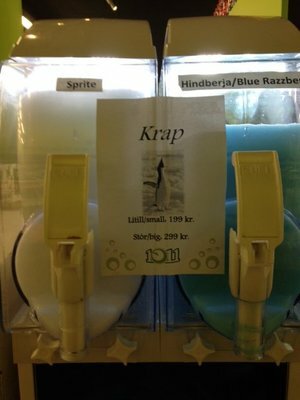 The language both sounds and looks very Scandinavian. The signs made me think of IKEA. We made it back for beverages at our hotel. I thought I had purchased two beers but one of them was a nasty non-alcoholic malt drink. Must be an acquired taste. It was easy to crash for the night to prepare for our 4am flybus pick up time. Flybus back to the airport was easy. The flight to Frankfurt was no problem - just three hours. 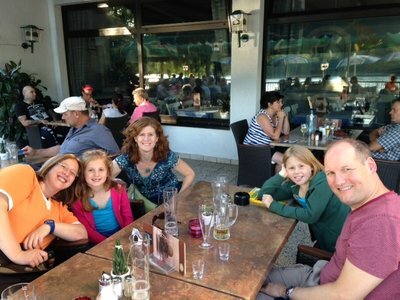 We took the train from busy Frankfurt to Dornheim to stay with family. We were all tired again but revived to see familiar faces who made us feel at home. The kids played with the fish, settled in to their own room, and we finally unpacked a bit for the first time. Showers never felt so good! 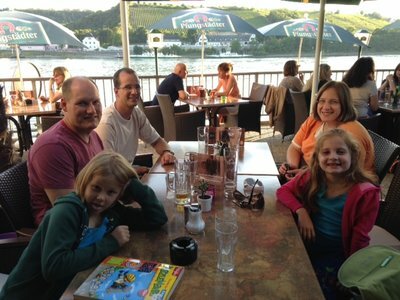 We went out for a special Greek dinner right along the Rhine River. A lovely location to watch the boats and view the vineyards across the river. The weather was perfect and quite the welcome change from Iceland! The kids were managing themselves really well at this point. I was shocked that they hadn't napped and were staying happy. 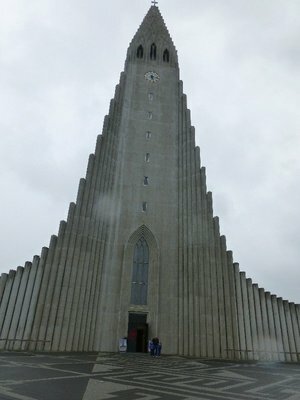 Maybe the stopover in Iceland had helped with jet lag. It's only day three so one can hope! 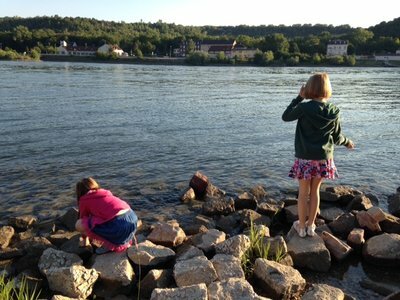 After dinner, we walked down to the banks of the Rhine where the kids spent around 30 minutes finding special rocks and climbing around. They could have stayed for much longer but we knew they needed sleep! Dinner was delicious and we really enjoyed catching up with family. We stayed up a bit getting advice for the rest of our stay in the Frankfurt area.